Summer is well and truly under way and the season has brought all manner of seasonal sweets with it. Let's look at some of the flavours that are dominating cakes, cookies and chocolates in summer 2018. After years of hankering after mint chocolate and not finding a trace of it outside of the occasional international food store, it seems that mint chocolate is finally having its moment this summer and it's a big one. A huge variety of mint-flavoured chocolates have sprung up across all the leading brands to satisfy a broad range of minty chocolate tastes, but that's not all. There are ice creams, cakes, crepes and even some curious mint cakes with chocolate chips - and yes, they are duly colored a soft shade of mint green! 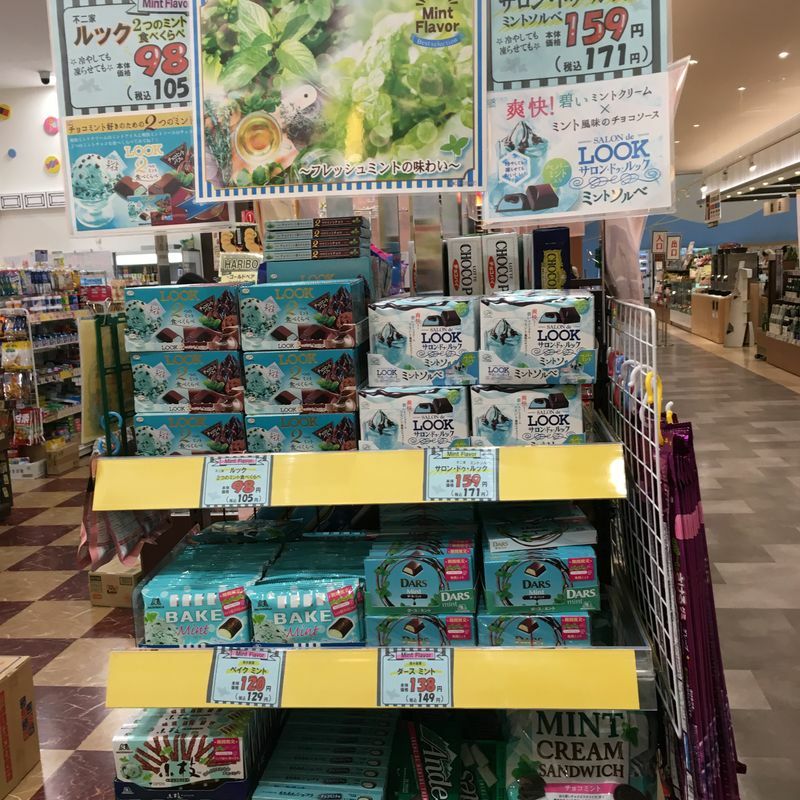 I love Fujiya's Salon de Look Mint Sorbet and while this year is not the first time mint-flavored Dars has cropped up, I sincerely hope it won't be the last. Lemon is another favourite of mine and it's definitely appearing in a lot of sweets this season. It tends to get paired with cheesecake a lot, whether it involves an actual cheesecake or something that is cheesecake flavoured, like Country Ma'am's Lemon Cheesecake cookies, but there's a lot of stuff where lemon at the moment gets to be the star flavour in its own right! I like lemon cakes and I'm finding the broad range available at FamilyMart convenience stores very satisfying just now! 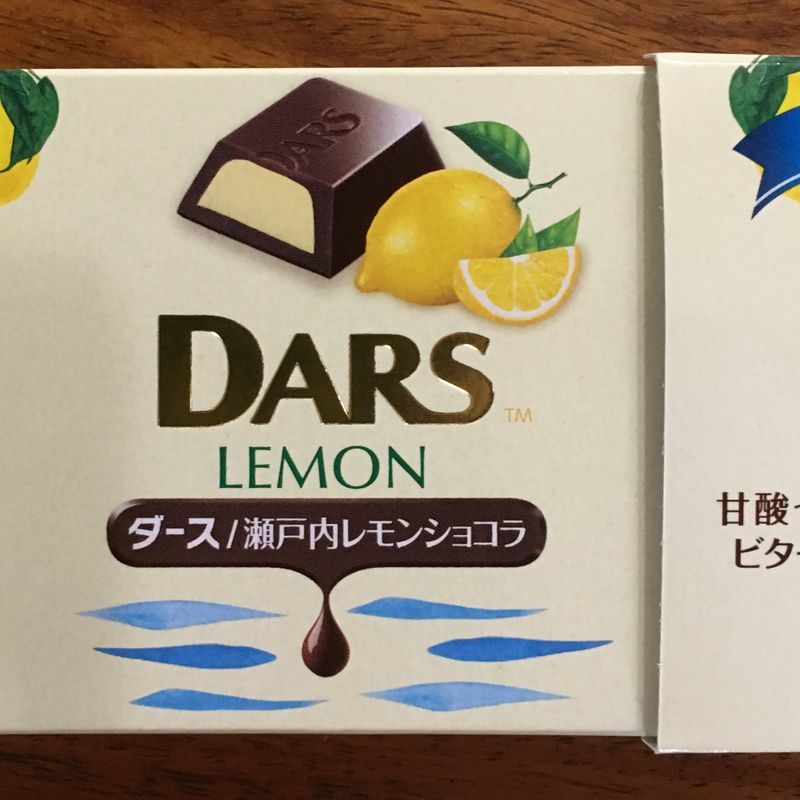 Dars has once again gotten in board with the flavour, and their Setouchi lemon chocolates are gorgeous. Hojicha, a roasted green tea that has an earthier, less bitter flavour than some of its green tea counterparts, has been gaining popularity for at least a year now as a flavor for sweets. While it is often served iced in its original tea form during the summer months, it is also getting particular attention from confectioners this season. Starbucks Japan has been leading the way with shining a spotlight on hojicha and this season is no exception, with danishes glazed with hojicha-flavoured icing and hojicha lattes and frappucinos. 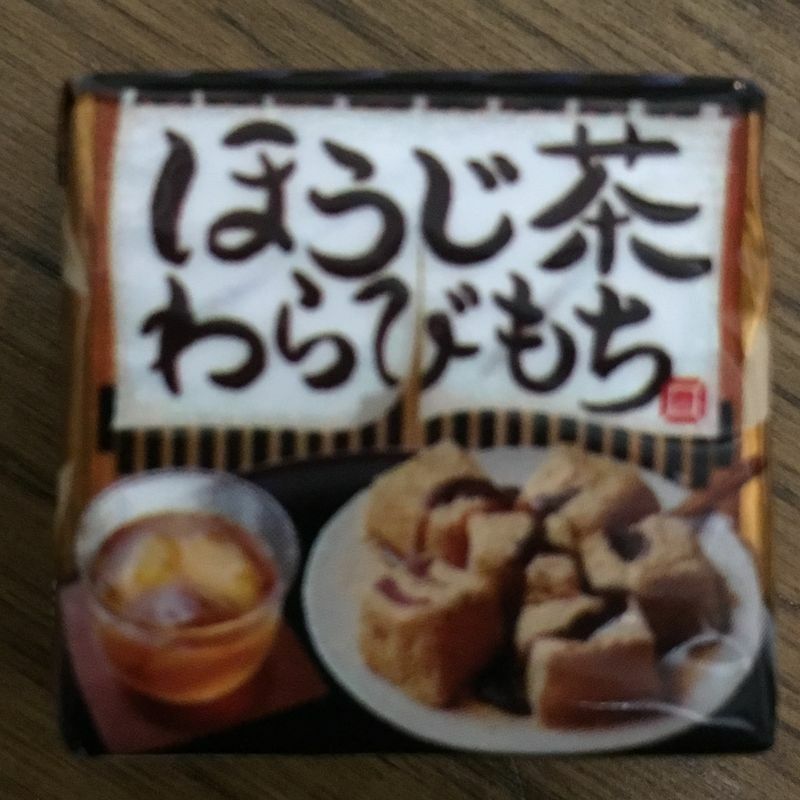 If you like your sweets small, chocolate and cheap, then Tirol's Hojicha Warabi Mochi is definitely worth tasting! Given that chocolate-coated bananas are such a ubiquitous sight at Japanese summer festivals, it's less surprising that banana is a theme of this summer than it not having been so before. As well as festival food and the usual sight of fresh banana slices in parfeits and crepes, there are banana-flavoured chocolate ranges to try out this year. I like banana itself by itself, so the crepes and festival bananas don't really do it for me. 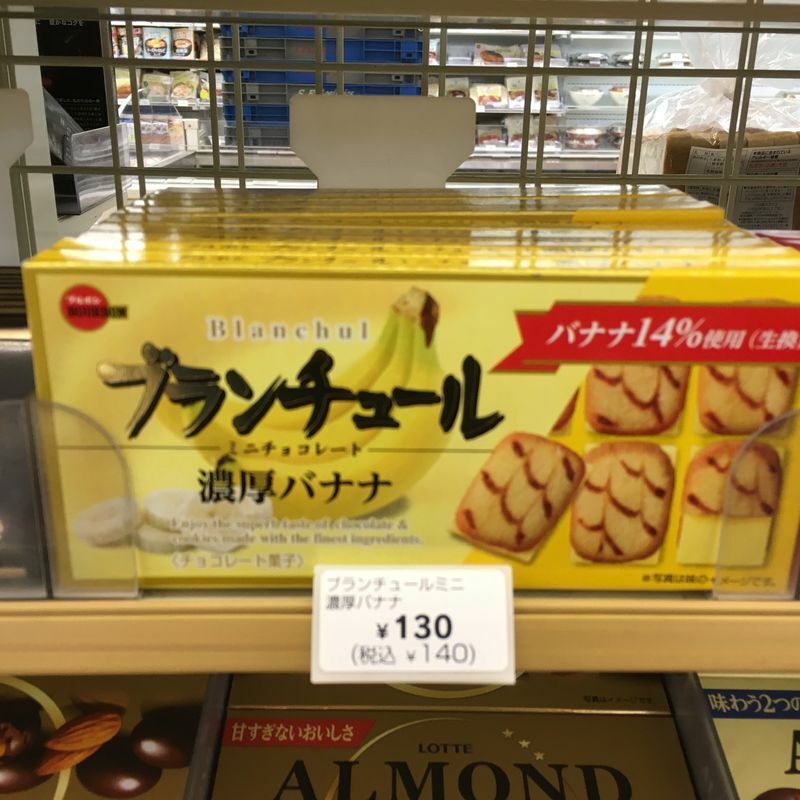 That said, I actually quite like banana flavoured chocolate - try Fujiya's Milky Chocolate Ripe Banana squares, and Bourbon's Banana Blanchul. It's not just lemon and banana but many fruits that tend to feature heavily in summer sweets. Peach is a popular cake flavour and Pocky is using it as a flavour this season, and Lotte's Mango Charlotte are a nice treat. While strawberry is always popular, particularly so in spring, it's hanging around even longer than usual this year. But not together! Popular in recent years, these two are not putting in that much of a show this year. However, you can still find them here and there, and Bourbon's delicious Alfort cookies have both salty vanilla and coconut milk variations currently available. Finally, as curious as it might seem, ice cream is not just an item in its own right but used as a flavouring. Lotte's Crunky chocolate bar has an ice cream-flavoured version out that is being promoted quite a lot. So there you have it, the popular flavours of summer 2018! Are you enjoying them as well? Do you have a favourite sweet treat to recommend?